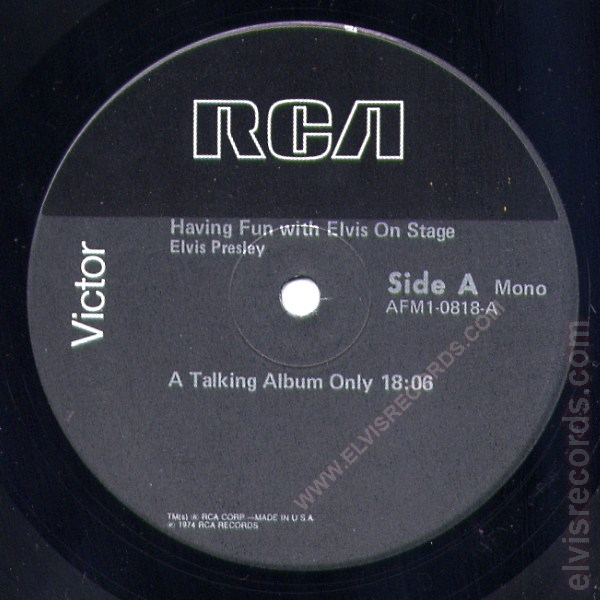 Cover Back: RCA Copyright on bottom centered. RE on bottom left. 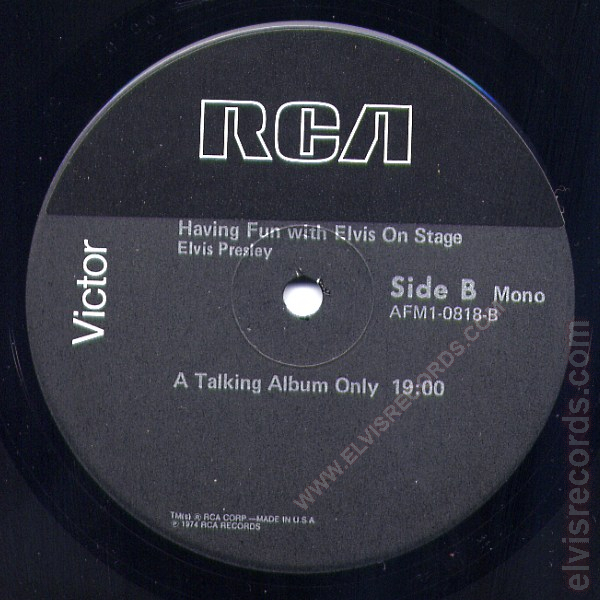 This example with the RCA sticker over the label to intentionally block out the dog on side was used for export, where the dog on side was not licensed for use. 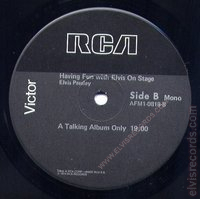 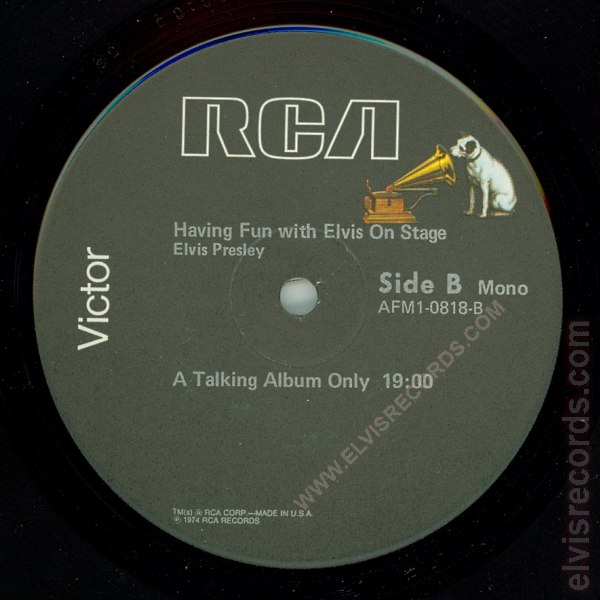 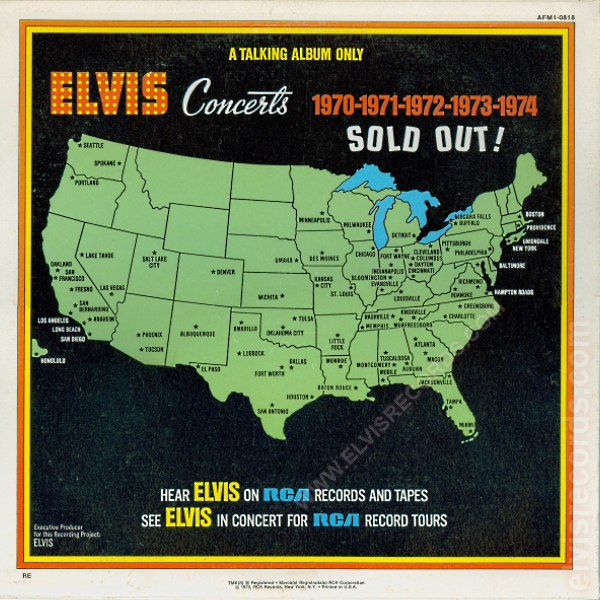 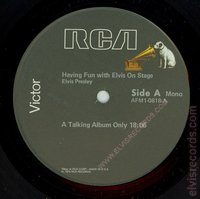 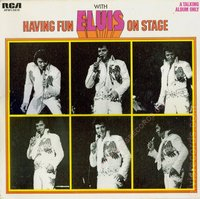 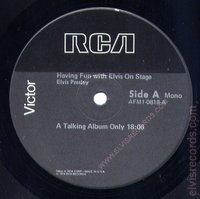 Previously released as CPM1-0818 Having Fun with Elvis On Stage.